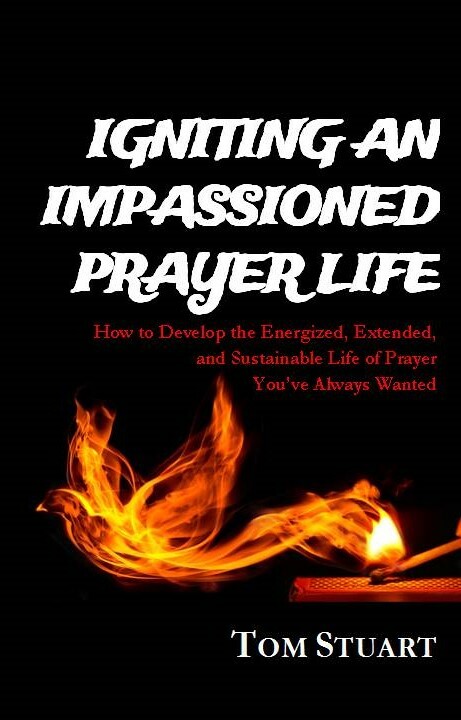 IGNITING AN IMPASSIONED PRAYER LIFE – How to Develop the Energized, Extended, and Sustainable Life of Prayer You’ve Always Wanted. Just a note of thanks again for your book. You’d be surprised how much its meant to me. Like the Carpenters song I feel like “I’ve only just begun..” on this prayer journey. I am a slow reader, so I found it was best to read one chapter per day and think about it. There were so many enlightening chapters, like the chapter on presumptiously not praying. I took some of my own notes during this time of reigniting my prayer life and thought I’d share, things that I discovered. 1. I found prepared prayers to be good in some cases. Each day it is good to remember and prepare prayer needs you encountered through the day. I find these to be good prayers because they are given in earnest, they are real needs you or others encountered. Like the prodigal son who prepared his words before hand. 2. Something in the way that the Lord talked to Moses (Exodus 33:11) seems relevant to prayer for all of us. I don’t know exactly what, but it seems that prayer and having a way into the Holy of Holies is a jaw dropping reality that is obtainable in some sense. 3. I put aside a lot of the old prayers that hadn’t been answered so that I wouldn’t discourage myself in this refreshing time of prayer. They are prayers that were either not God’s will or not in faith. Some may come back to my prayer life, not sure which ones. 4. Joy and answered prayers have been the fruit of prayer, praise God! 5. When He answers my prayer I think of that one leper who came back and thanked him. What a unique response, where are the other 9? He is encouraing gratitude, and how often after a desperate prayer we forget, we prayed, and He answered! 6. The most important thing that I have learned, felt and really experienced is I discovered my greatest need evey day, every hour, is to be filled with the Holy Spirit. I don’t even understand it all, I just know that once I felt it, His presence, that was my greatest need. I have to pray often every day for the filling of the Holy Spirit. As I have thought about it, the fellowship that sin broke in the garden has been restored by the victory in Jesus, which is about fellowship, which is primarily through prayer. Prayer is what fills us with the Holy Spirit. Oh my flesh gets so stubborn at times, and yet when I get beyond it He is faithful. I still feel like a train wreck in so many ways, but my faith is stronger. Thanks..